Golden Egypt is an online slot from IGT that offers you stacked symbols, free spins, and wild reels; all adding too much fun to your gaming experience. The slot is based on the theme of the ancient Egypt, so you can picturise huge pyramids behind the reels with the irreplaceable beauty of River Nile. 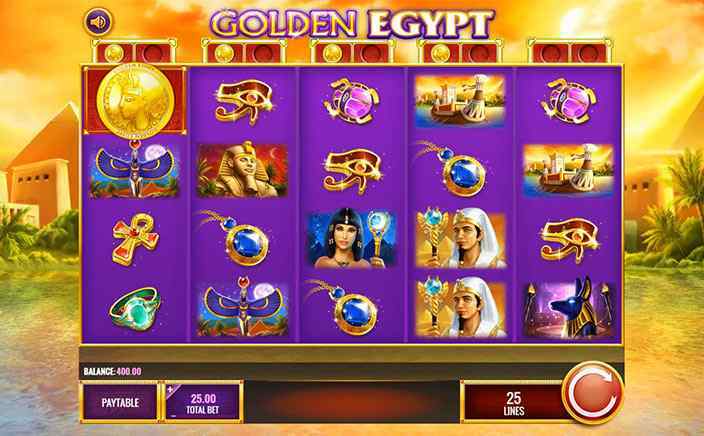 Golden Egypt slots is played on 5 reel and 25 paylines. The betting range lies between 25p to £500 per spin and the design takes you back to the landscapes of the ancient Egypt. It is set on a background of the banks of the River Nile. The reels are drawn in a purple colour which gives a vibrant touch to the design. The icons include golden coins, Cleopatra, jewellery, Anubis and Pharaohs along with some other ancient Egyptian characters. Apart from these, the Pharaoh is the highest valued symbol in the game. The golden coin is the wild symbol while the pyramid bonus symbol is the free spins bonus feature that triggers the free spins feature for you. If you will collect two golden coin symbols above any of the given reels, these will turn that complete reel into the wild for the upcoming two spins. The Free Spins Bonus feature in Golden Egypt slots can be triggered by landing at least two bonus symbols anywhere in the view. Depending on the number of bonus symbols you land, one of the three awards will be given to you. Landing these three bonus symbols will either award you with five free spins and three wild reels or fifteen free spins and two wild reels or thirty free spins and one wild reel. If you land four bonus symbols, you have a choice between ten spins along with three wild reels or thirty spins along with two wild reels or sixty spins and one wild reel. Also, if you land five of them, then you get to have fifteen spins along with three wild reels or forty-five spins along with two wild reels or ninety spins and one wild reel. 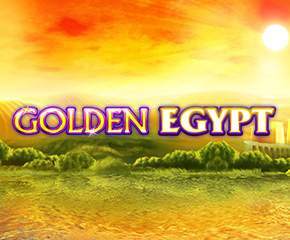 Golden Egypt is a medium variance slot that offers you the maximum win equivalent to 300 times of your stake. And if you are able to enter the Free Spins Bonus feature, you are sure to come out with some great wins.